The Los Angeles/Orange County Lync Users Group is targeted at IT Pros and Developers interested in Microsoft Unified Communications. Our goal is to provide the LA/OC area with technical and business information relating to Lync Server, Exchange Unified Messaging and other components related to Microsoft Lync. 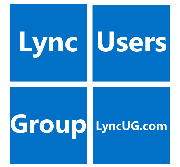 The Los Angeles/Orange County Lync Users Group will be conducting their next meeting Oct 15th, 2014. This meeting will include two sessions, the first session will cover Lync with SDN and Wi-Fi. The second session will dive into an Office 365 Solution Review.